Measuring temperature with a thermometer is not the only option we have today. There are several new technologies that have emerged in science, promising more effective results than the traditional thermometers. Infrared and thermal imaging are brand new technologies that are growing in popularity, particularly in industrial use. In fact, these two technologies share one common characteristic – the ability to represent the value for the temperature of the object in a form of a visual information. There are special infrared and thermal image cameras that display variations of the values of the temperature of the object through a spectrum of colours. Both infrared and thermal image cameras are used in different applications in military, security and surveillance, but differ in the way they detect the values of temperature of the object that is being measured. The thermal cameras measure the absolute temperature of the object. The thermogram (the picture that is received) is a representation of the values of the mid-infrared radiation that the body of the object emits. Whilst the most of the infrared devices need a beam, it is not crucial for the thermal cameras. One of the main advantages of these devices is their ability to work in complete darkness, which means that their operation doesn’t depend on the presence of the light. This feature makes the thermal image cameras most suitable for measuring the temperature in surveillance systems. Infrared cameras receive, gather and measure a beam of infrared light waves. Infrared imaging shows the radiation energy that the objects emit within the infrared spectrum. The radiation energy of each object varies depending on the variations of the values of the temperature of each object specifically. The infrared thermal image cameras generate a picture of the object’s IR radiation. 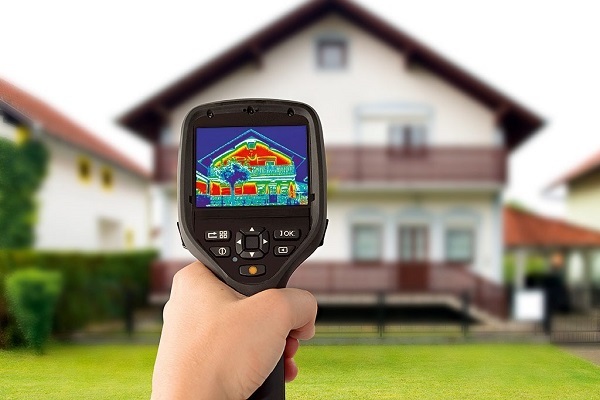 People most commonly use an infrared camera for measuring environmental conditions around certain buildings. The main purpose of this is to discover potential issues in insulation and issues with moisture. The main difference between the infrared and thermal camera is in the manner their detection takes place. Due to the fact that the cameras can measure the infrared radiation of the element at the mid-infrared range, they are also known as IR detectors. When it comes to capturing the infrared signature of the object, infrared and the thermal devices differ. The IR camera has the ability to detect the active infrared signature, while the thermal image camera can detect the current signature of the object in accordance to the current heat pattern of the object being measured.